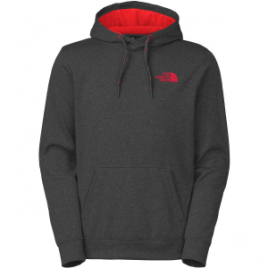 Add vibrant style and cozy comfort to daily adventures with The North Face Men’s Surgent LFC Pullover Hoodie. This sleek, stylish hoodie features a pop-color, jersey-lined hood for smooth-wearing comfort. Another cool feature is the interior media pocket for jamming out when you’re on the move.